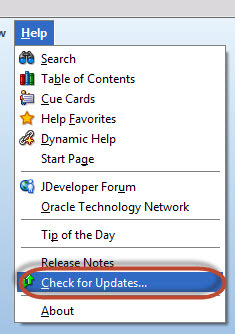 3) Go to Help and Check for Updates. 4) Select Install from Local File and select zip file location as shown below. 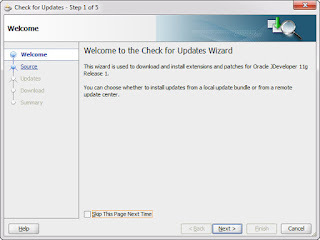 8) Provide required parameters and click Test Connection and verify. 9) Click Save... 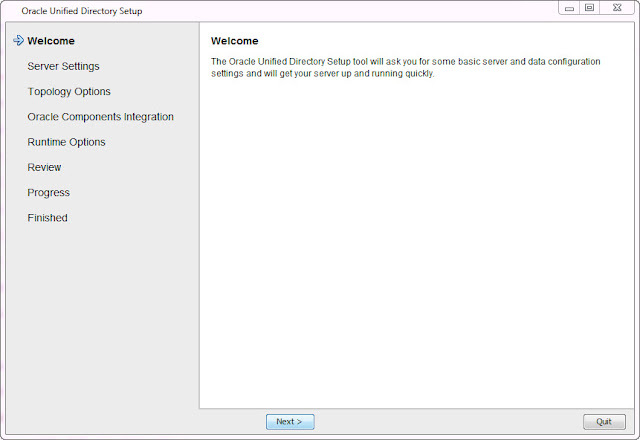 Thanks !!!! 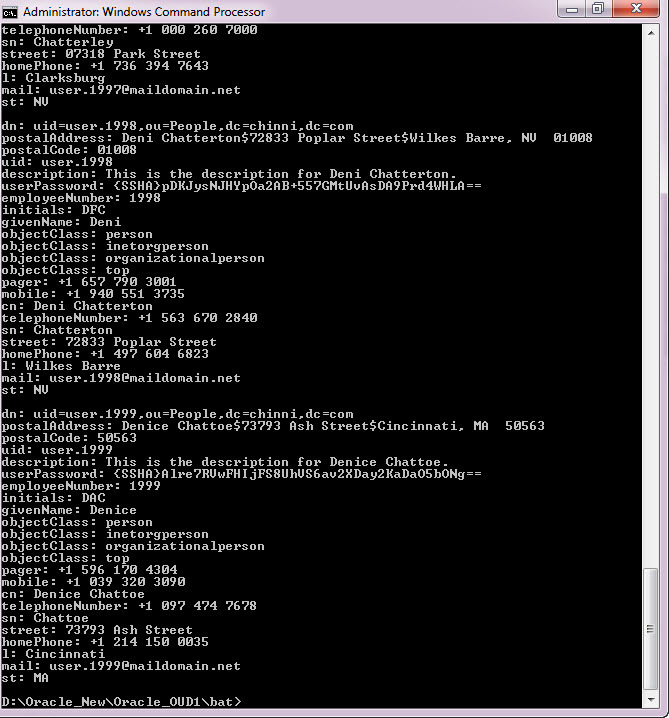 Go to Connection Pool and verify DB details. 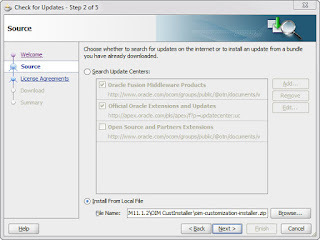 While creating IT Resource of OUD in OIM 11g R2 following error occurs if you have special symbols in base DN while running any scheduled tasks using OUD IT Resource. 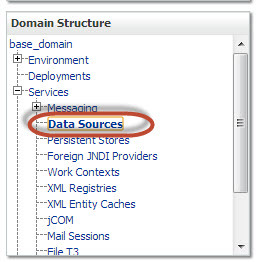 Below error occur because OIM automatically removes "," (comma) special symbol if you have not specified full DN or Base DN or base contexts in double quotes. Following parameters in below screenshot works as base DN is specified in double quotes ("dc=veeru,dc=com"). 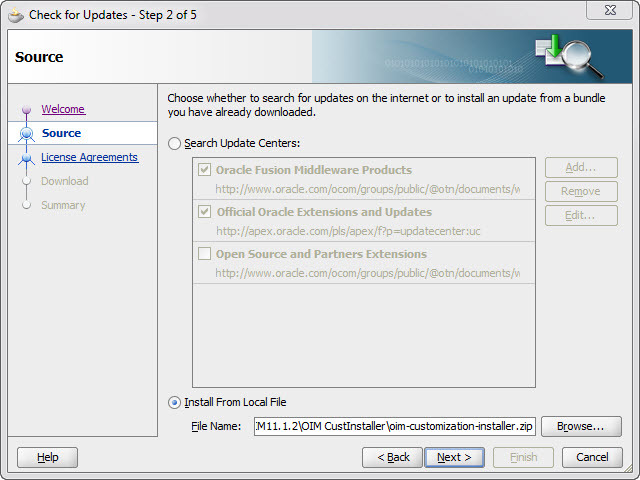 Here we are going to see Java code to connect to OIM 11G R2 and do other operations. Common-logging.jar and spring.jar available under /Oracle_IDM1/server/client in side zip file oimclient.zip, extract oimclient.zip and add lib folder and oimclient.jar to class path as shown below. 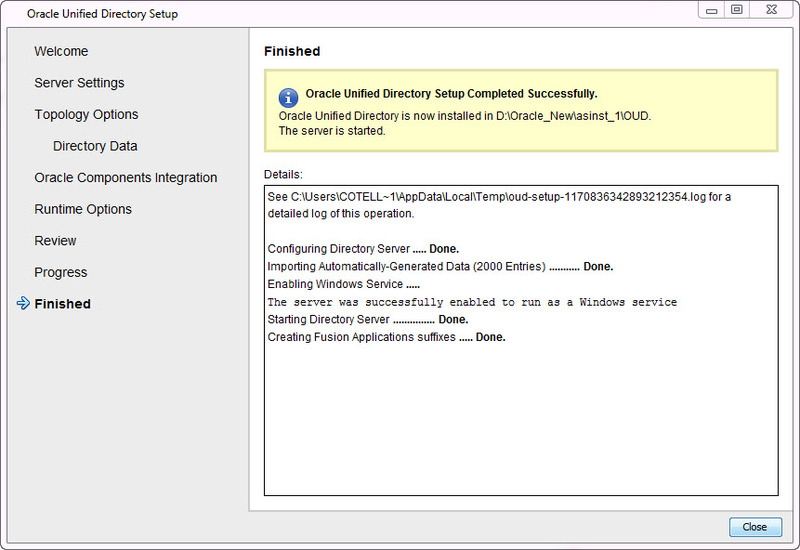 Generate wlfulclient.jar by following below steps, after generation it need to be added to classpath . 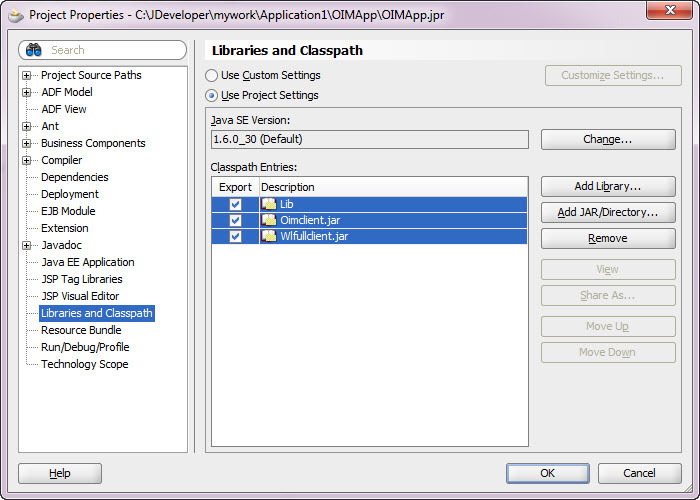 1) Create project in Jdeveoper and go to Properties, under properties go to Libraries and classpath and add jar files specified above. 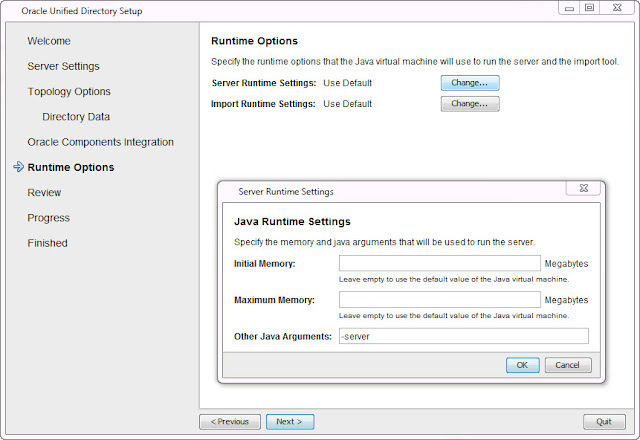 2) Write code as shown below. 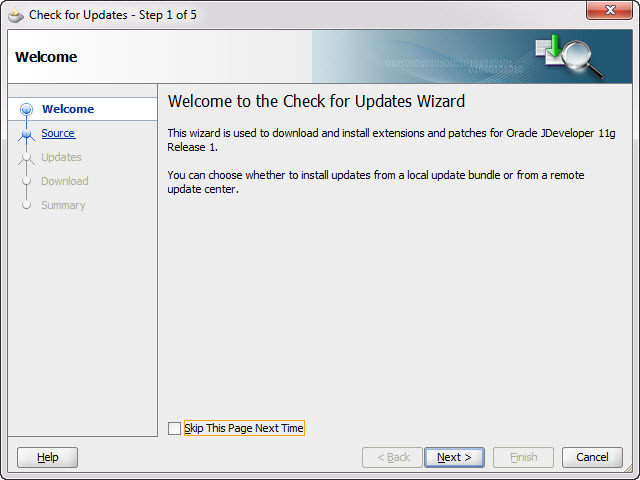 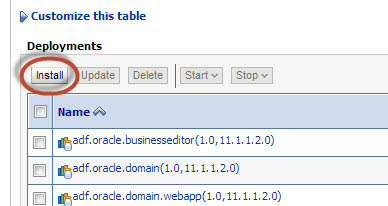 6) Using other Java API's(http://docs.oracle.com/cd/E27559_01/apirefs.1112/e28159/toc.htm) other operations can be performed. 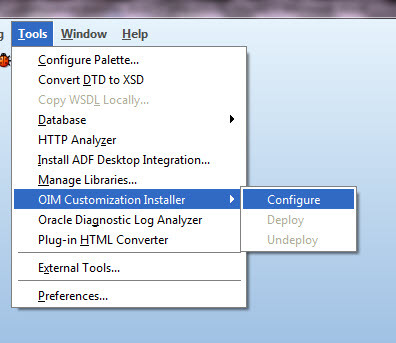 For configuring OUD as Identity store we need to install OUD. 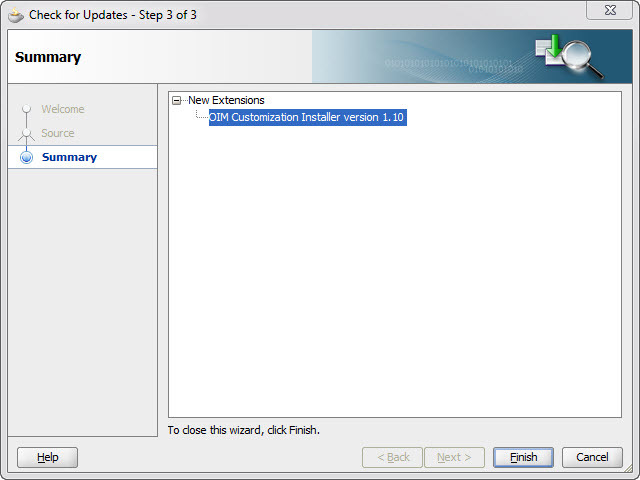 2) Go to System configuration tab. 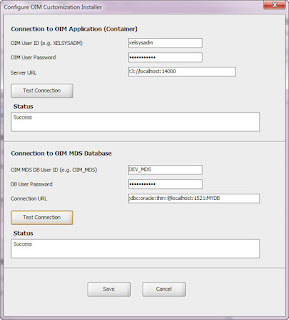 4) Provide OUD details as shown below (port number, Bind DN, User Base and Group Base changes based on your OUD configuration) and click on test connection. 5) Connection should be successful other wise cross check parameters provided. 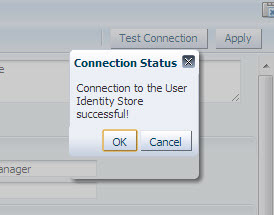 6) Click on Apply once connection is successful. 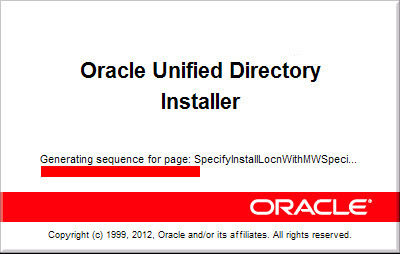 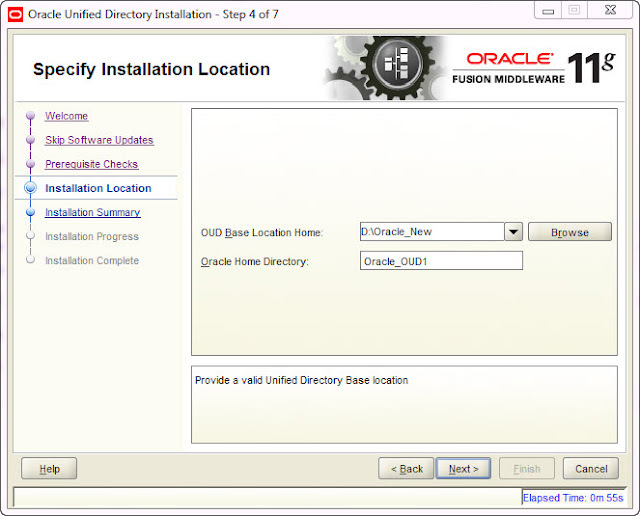 Oracle Directory Services Manager enables you to configure the structure of the directory, define objects in the directory, add and configure users, groups, and other entries. 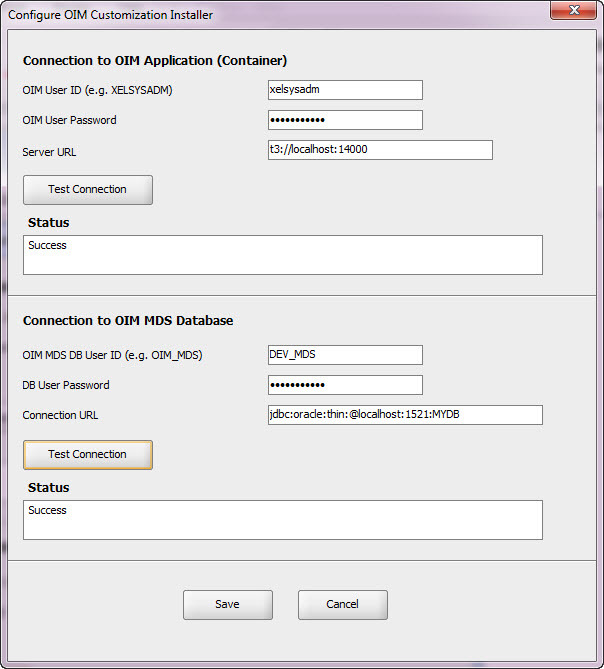 ODSM is the interface you use to manage entries, schema, security, adapters, extensions, and other directory features. ODSM is a J2EE application that runs inside a Web Logic container and relies on certain libraries that are not installed with the Oracle Unified Directory software. These libraries are provided in the Oracle Application Development Framework. 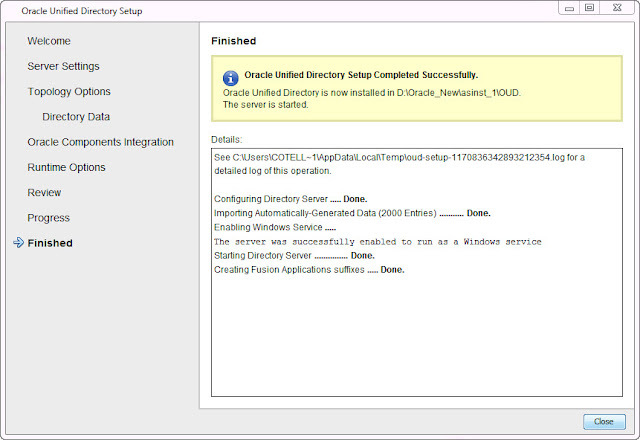 If you plan to manage Oracle Unified Directory with ODSM, you must therefore install the Oracle Application Development Framework. 1) After installation of OUD, ODSM folder gets created inside OUD home directory. ODSM ear will be available inside that path. 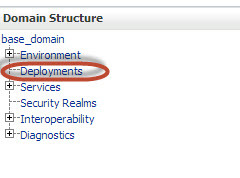 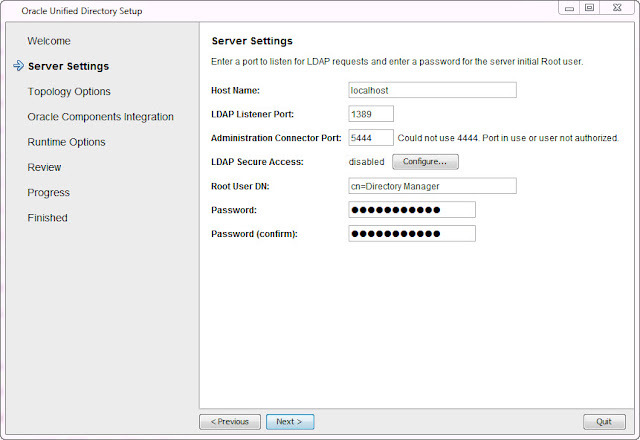 2) Login to Weblogic console to deploy ODSM Ear. 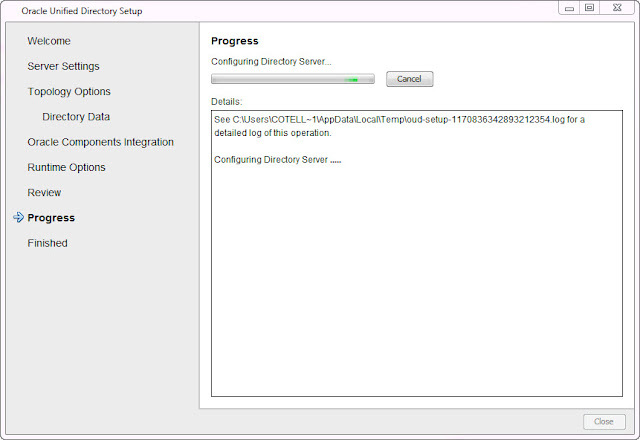 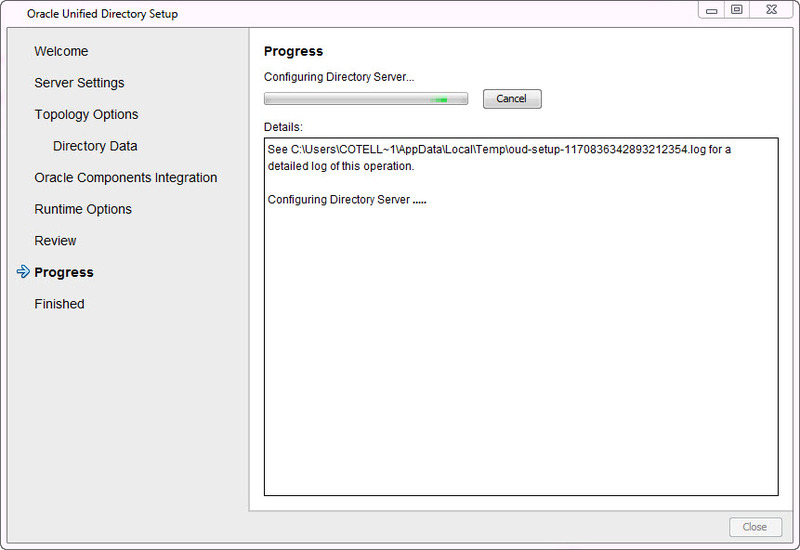 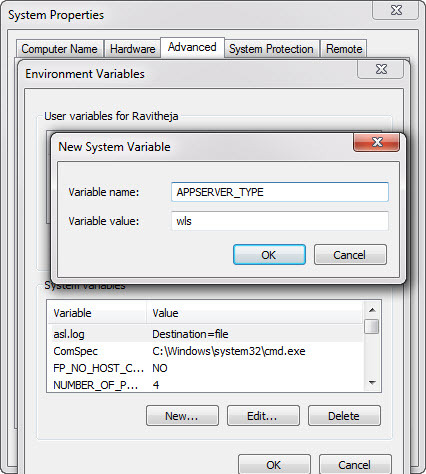 7) Select Admin server for deployment and click finish. 1) Provide all OUD details. 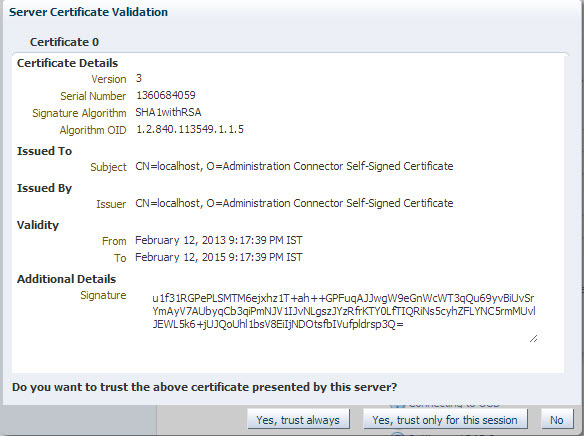 2) Click on Yes, Trusted always. 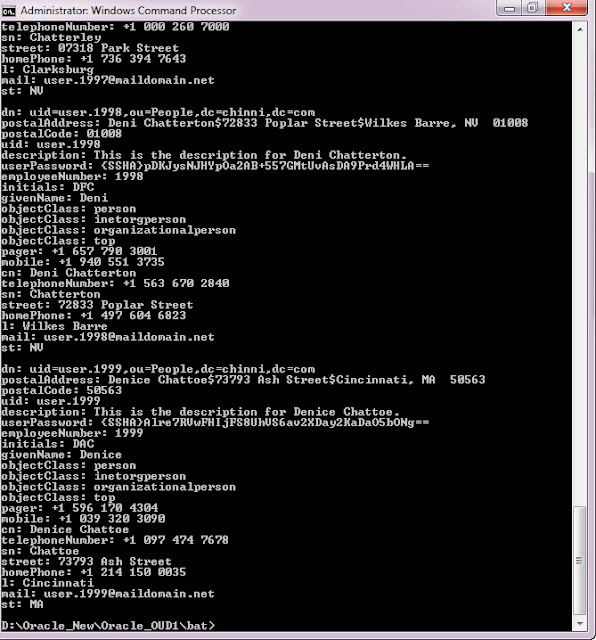 1) Using command prompt navigate to OUD Home directory. 2) Provide Hostname, LDAP Listener Port (NON-SSL Port), Admin Port, Root user DN and Password. 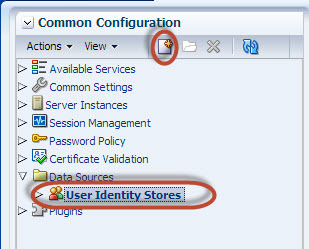 If you need SSL configuration click on Configuration and provide details. 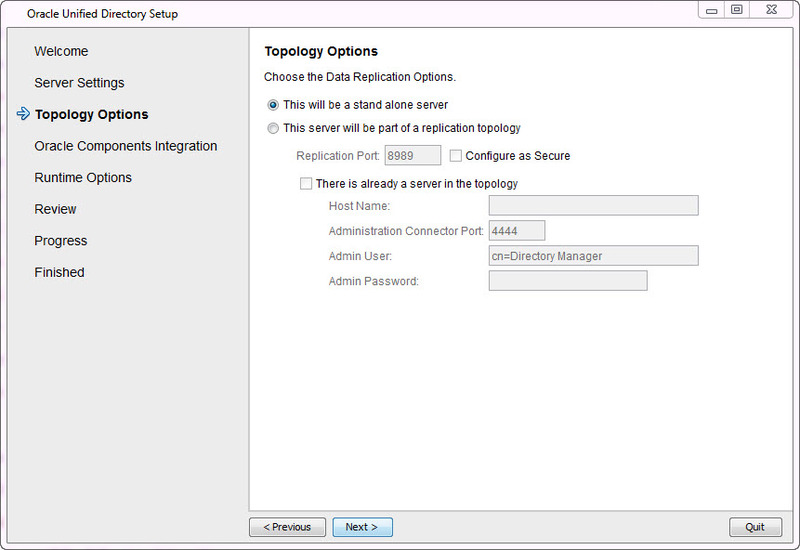 3) If it is stand alone server with out any replication select "this will be a stand alone server" otherwise select "This server will be part of replication topology" and provide all the replication server details. 4) Provide Directory Base DN and select Directory Data. 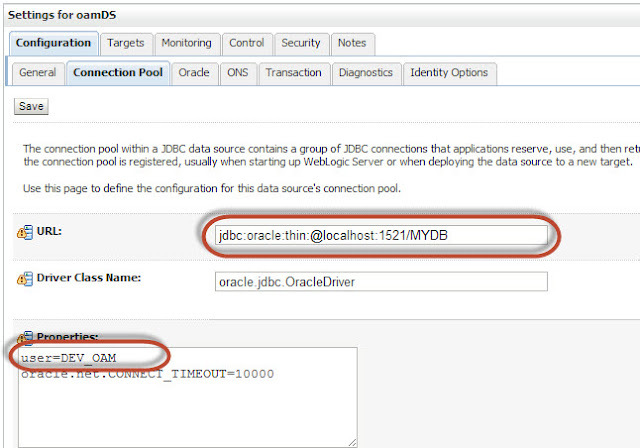 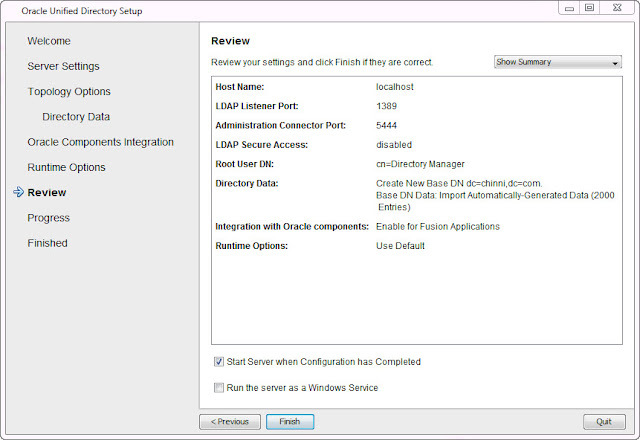 5) Enable for EUS: if you want this server instance to be used as a datastore for Oracle Enterprise User Security. 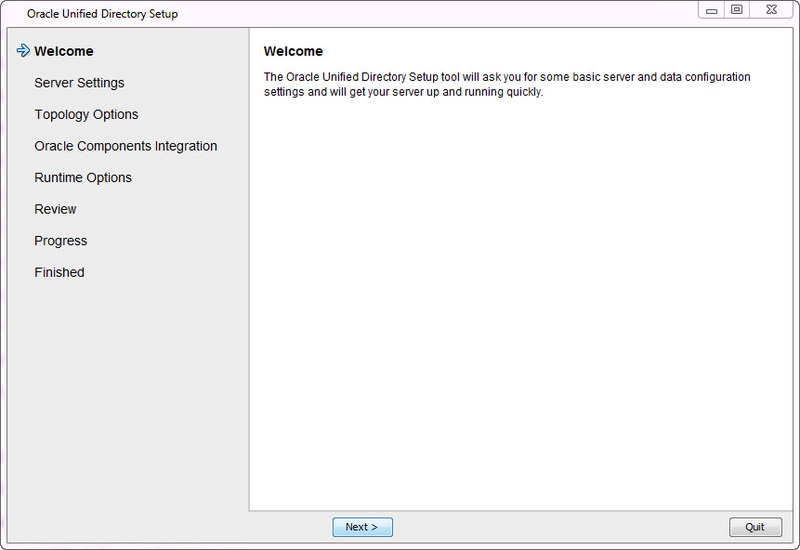 Note that you can only enable a server instance for EUS if you have enabled SSL access (See Step 2). 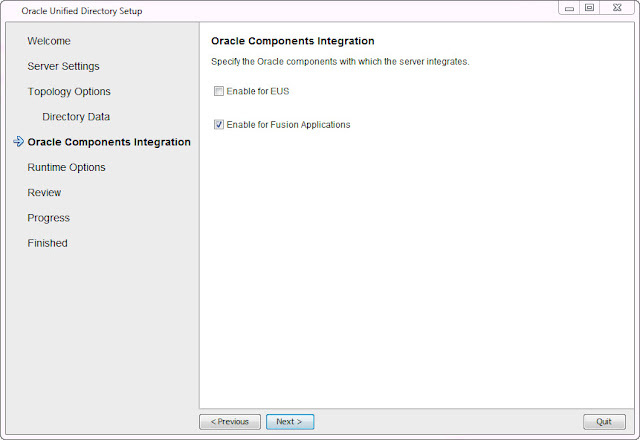 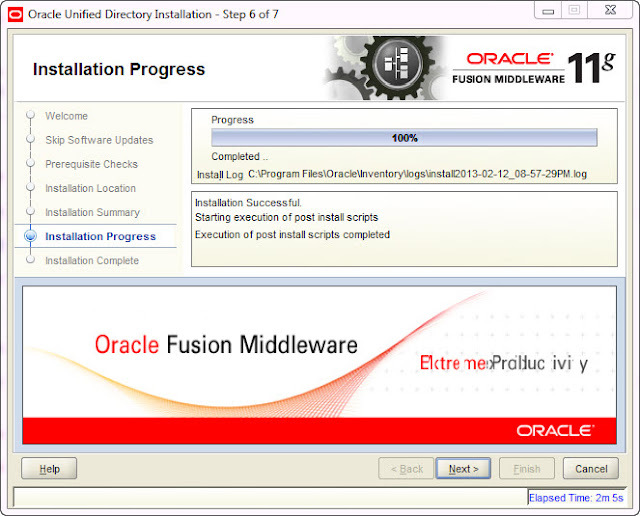 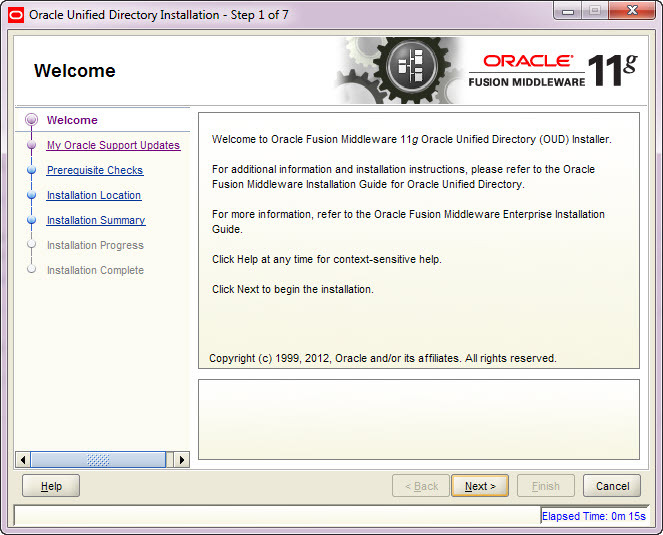 Enable for Fusion Applications: if you want this server to be used as an identity store for Oracle Fusion Applications. When you enable a server instance for Oracle Fusion Applications, a workflow element named Fa0 (cn=Fa0,cn=Workflow elements,cn=config) is created and enabled. 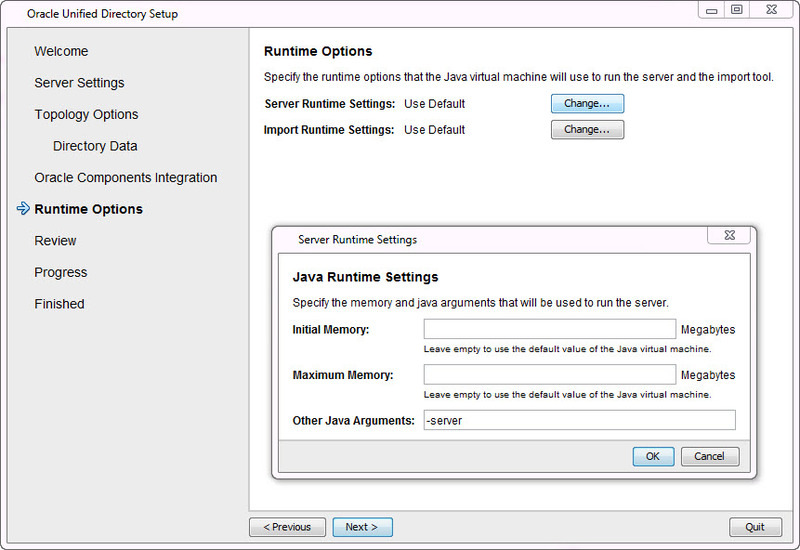 6) Following setting are to make memory changes during runtime. 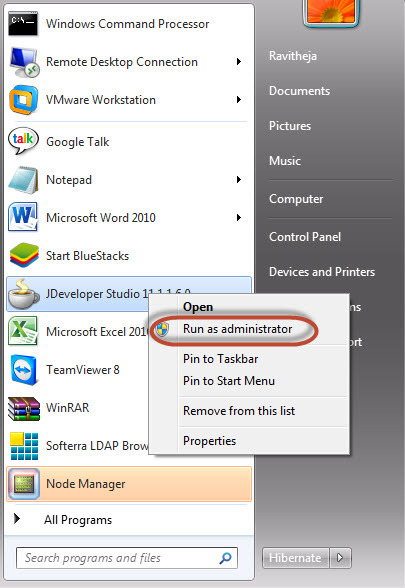 7) Select "Run server as a Windows Service" if you need OUD instance as windows service. Testing: Test the following LDAP search query to make sure that instance got created properly with proper data. ldapsearch.bat -h localhost -p 1389 -D "cn=directory manager" -w my-password -b "dc=example,dc=com" "(objectclass=*)"
If OUD is made as windows service that can be verified in windows services. 2) Provide Base location for OUD and Home directory name.